The FD 1000 AutoSeal® Hand-Feed Pressure Sealer is a quick and easy solution for processing single pressure seal forms. The FD 1000 is ideal for one-off forms, re-runs, quickly sealing misfed forms offline, or as a backup for a primary pressure sealer. It’s easy to use right out of the box, with no adjustments, set-up or guesswork. 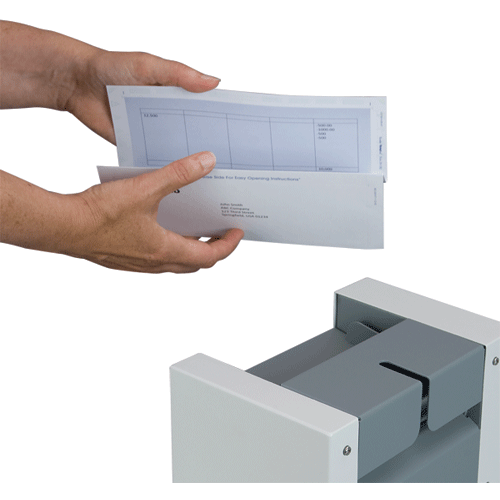 Simply fold the form and feed it by hand into the FD 1000. 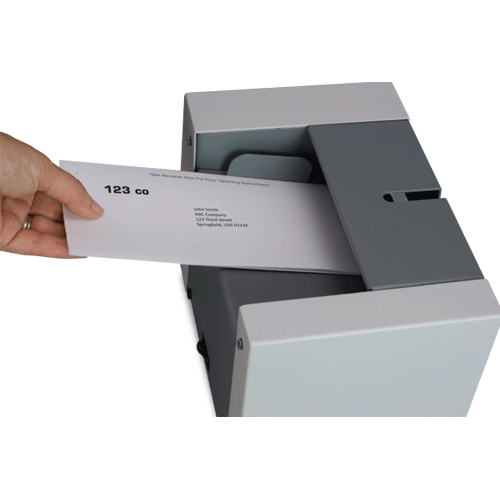 In seconds, you’ll have a secure, mail-ready piece, without the need for envelopes. The FD 1000 is designed to accommodate a variety of form sizes and fold types, up to 5 ½” in folded width, and can process up to 24 pre-folded forms per minute. 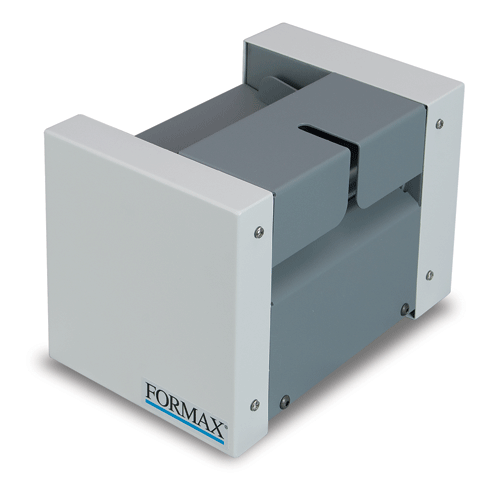 Proudly built in the USA with proven Formax technology, the FD 1000 is an economical solution with the quality and reliability you have come to expect from Formax.